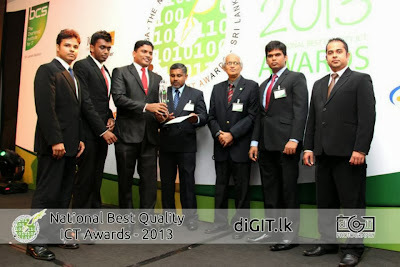 Bhasha Official Blog: Bhasha wins 2 Awards at National Best Quality ICT Awards (NBQSA) 2013 including a Special Award! Bhasha wins 2 Awards at National Best Quality ICT Awards (NBQSA) 2013 including a Special Award! 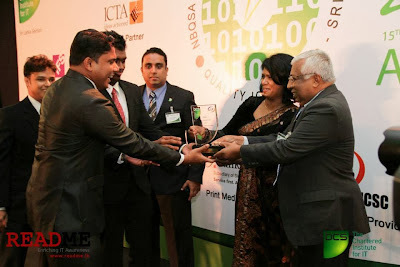 We are so proud to let you know that we won 2 Awards at The National Best Quality ICT Awards (NBQSA) 2013 for our most popular local product Bhasha Helakuru counting the 2nd & 3rd National Awards for the same product & the 9th & 10th Award won by Bhasha & also nominating to the APICTA Awards 2013 to be held on Hong Kong. 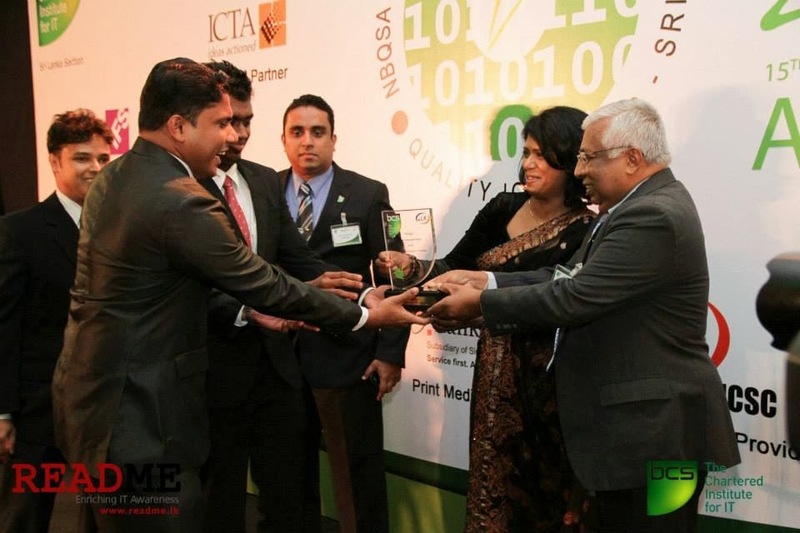 We are so happy to receive The Best Local Language Product Award this year since this is the first time we won a Special Award of a National Award. Following are all the Special Awards offered at NBQSA 2013 for your information & we are so proud to be one of them. 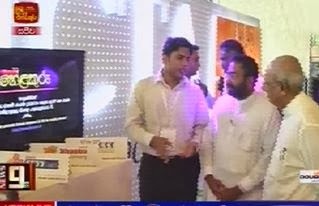 We are also so happy to receive the Silver Award in e-Inclusion & e-Community category since there were no Gold or Bronze Award in this category. 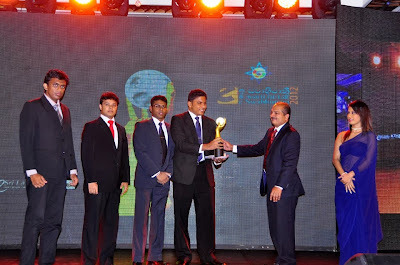 Following are all the Awards offered for this category for your information. 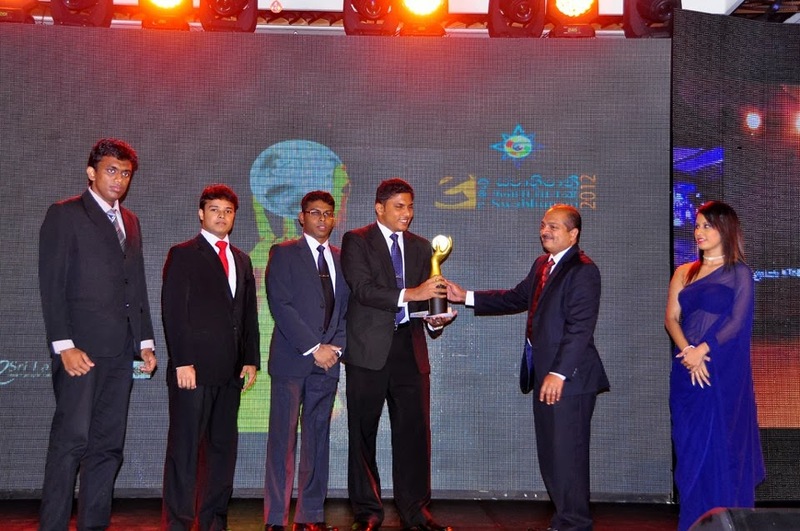 Silver : Bhasha Lanka (Pvt) Ltd for "Bhasha Halakuru"
Merit : hSenid Software International for "Expense Tracker 2.0"
With this BIG achievement now we have won 3 National Awards for our most popular product Bhasha Helakuru in past two year. 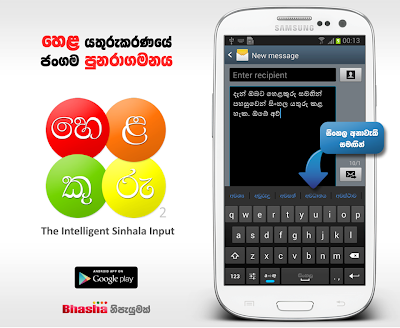 Bhasha Helakuru is an Intelligent Sinhala Input method for Android Mobile devices & it's the first ever software solution to type in Sinhala language on Android. We launched Helakuru on December 2011 at Infotel 2011 ICT Exhibition with the presence of Ministers Ranjith Siyambalapitiya & Tissa Witarane enabling Sinhala Input on SmartPhones for the first time in History. 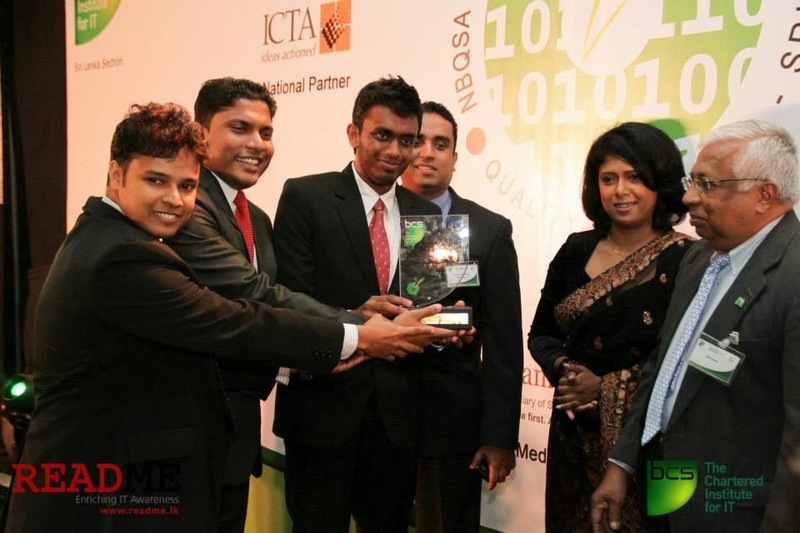 We won the e-Swabhimani Award for Helakuru in 2012 & continued it's development for the next level to make Mobile Sinhala typing much faster & easier to the mobile users. 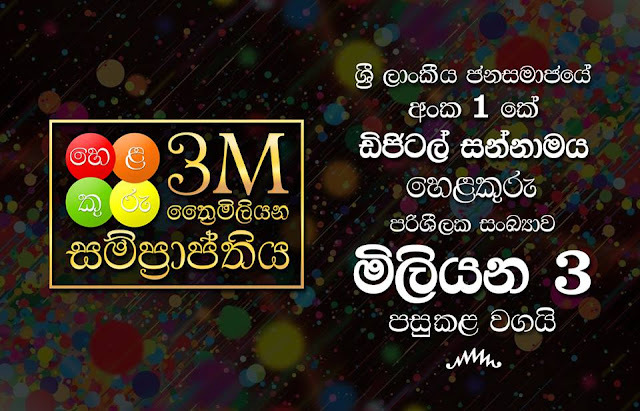 This year we launched Helakuru 2.0 with Sinhala Word Prediction support for the first time ever which was a revolutionary innovation for Digital Sinhala typing. With Helakuru Predictions users can type in Sinhala much faster & easier by typing just couple of letters of the words & selecting the preferred word from Predictions without typing whole words. Celebrating this achievement on Helakuru we're introducing a special pricing for Helakuru Predictions for Rs.199 per year. We'll also being exhibiting Helakuru at Infotel 2013 ICT Exhibition with thanks to the ICTA Spiralation program. You all our welcome to visit our stall & activate Helakuru Predictions for this special price. 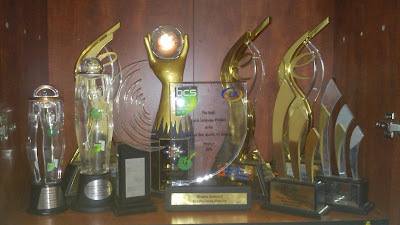 With these new Awards, now our Awards Cabinet is proudly full of 10 Awesome Awards which we won globally & nationally. 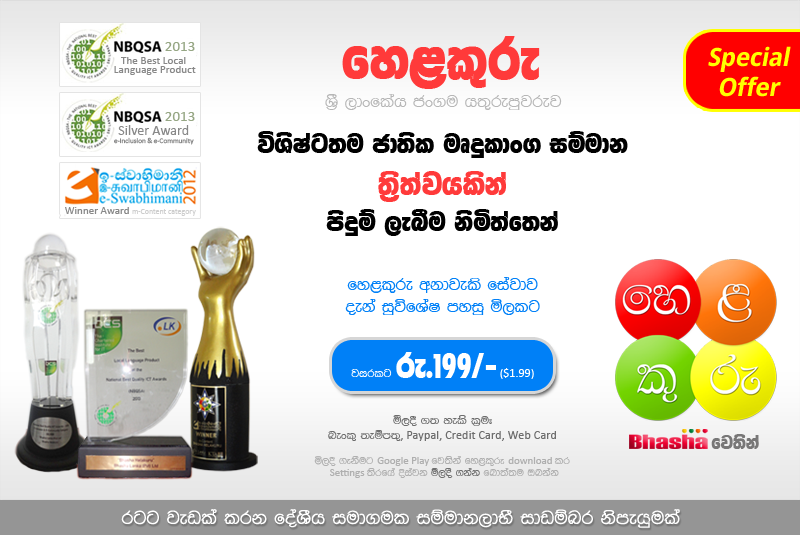 Our next target is to bring our own language product globally to APICTA 2013 for which we've been already nominated.